April 10th Insurance Coverage Deadline For Central Illinois Hail Damage Repairs - Restoration & Remodeling Services in Peoria, Pekin, Bloomington IL | Kelley Construction Contractors, Inc.
April 10th is fast-approaching and if you are like most, you may not know how important that date is. Last year on April 10, many residential and commercial properties throughout Central Illinois were damaged by an early spring thunderstorm that produced golf ball sized hail. What’s in the past has passed, though, right? Not quite. Most insurance companies require that you report any hail storm damage within exactly one year. If you are even a day late, you won’t have any coverage for those damages. At Kelley Construction Contractors, we are your insurance restoration specialists. Not only do we keep track of all of the major storms that come through the Central Illinois area so you don’t have to, but our team can also help you through the entire repair process. Even if you don’t have any noticeable damages, you should still have one of our hail damage consultants come to your property for a professional inspection. Along with taking care of your property inspection and insurance reporting, we will also provide hail damage repairs that will get your property back to its original condition, if not better. 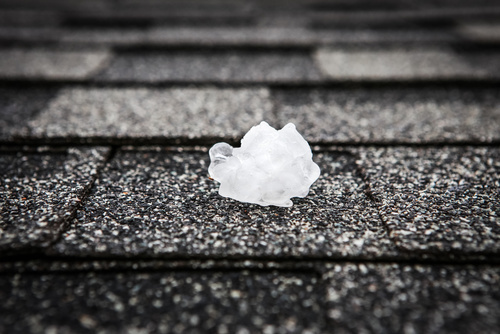 With less than two weeks left to report to your insurance company, call Kelley Construction Contractors today to schedule your hail damage inspection and repairs!